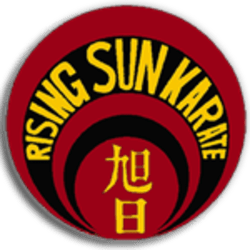 Get Started Today And Take On The Best Karate Classes In Toms River! You do not have to be super fit or an experienced athlete to take our classes. It doesn’t matter what age you are or what kind of shape you are in right now. We have classes for ALL ages and fitness levels and we will help you reach your goals – one powerful kick and punch at a time. Regardless of your age, our martial arts training is an excellent way to develop tremendous focus, boosted listening skills, and an improved attention span. PLUS, you can walk away with soaring confidence and respect for yourself & others! Martial arts isn’t about making you a fighter or adding to all the violence that’s already in the world. We teach our students to avoid confrontations and to resolve them peacefully when they do arise. 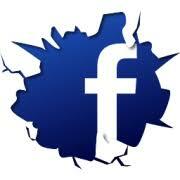 We also prepare you for the possibility of having to protect yourself, if necessary. 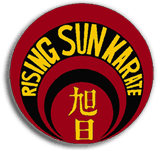 At Rising Sun Karate Academy, learning new and challenging skills while having a lot of FUN is the key to your success. The culture here is upbeat and positive and we always use positive reinforcement to motivate you to always do your best. Give your child the best chance to succeed with our Kids Martial Arts Classes in Toms River. 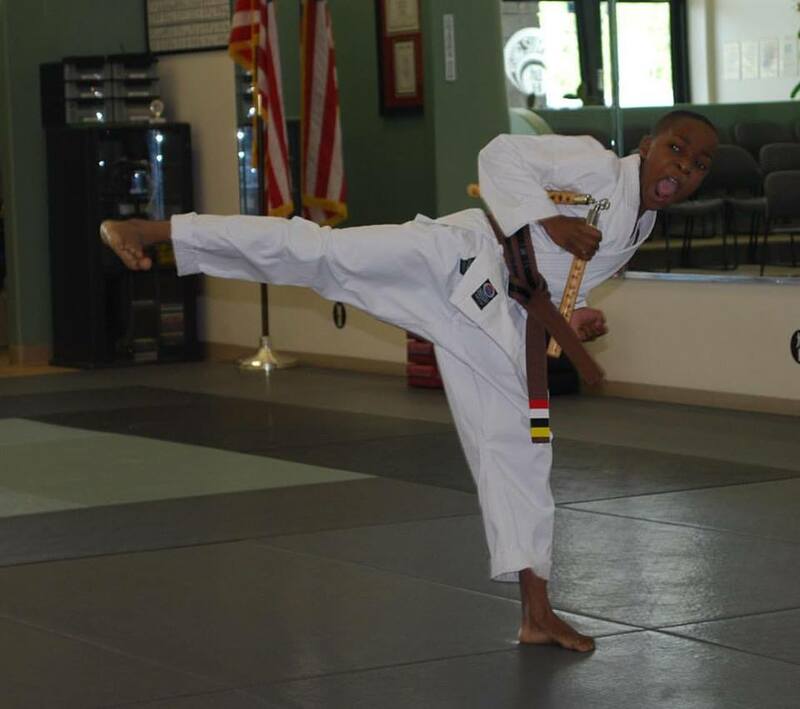 We offer cutting-edge, age-specific Karate classes that are perfect for all experience levels and backgrounds! 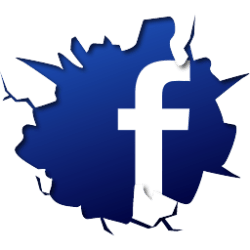 Take on the best Karate Classes in Toms River today! These classes are perfect for both teens and adults and teach unbelievable mental skills while also producing real total-body strength. Train your entire body at once with our Fitness Kickboxing Classes in Toms River. Perfect for all experience levels, these classes will help you get in shape and have a blast at the same time! We're More Than Just A Martial Arts Gym. We're A Community Of Families Working Together Every Day. We're helping students of all ages build confidence in themselves through accomplishment and support. Our Martial Arts training promotes these lifelong values each and every day, offering you or your child the chance to grow every time you walk through the door. Martial Arts training can be intricate and detailed. That's why our students quickly develop skills like discipline and focus. We are offering the highest quality training in town and that means helping you master every element of your training, including the mental skills you need to succeed. At Rising Sun, we never promote violence. We instead offer conflict resolution strategies that can help you resolve disagreements peacefully. But if physical self-defense is unavoidable, you'll be prepared with our cutting-edge training to protect yourself and your loved ones. We train as a team and we support each other as a family. In the martial arts, you can't truly succeed without the help of those around you and we are proud to foster an environment of community training and comradery. 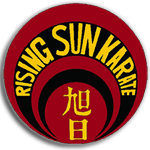 Welcome to Rising Sun Karate Academy, where we have been serving families like yours in the Toms River since 1983. By visiting our website, you have taken the first step toward becoming happier, healthier and safer in our ever-changing society. We will provide your family with personalized attention not found in other martial arts schools. RSKA is dedicated to fitness, family, learning, and growing and our curriculum emphasizes setting and attaining goals… your goals at your pace. 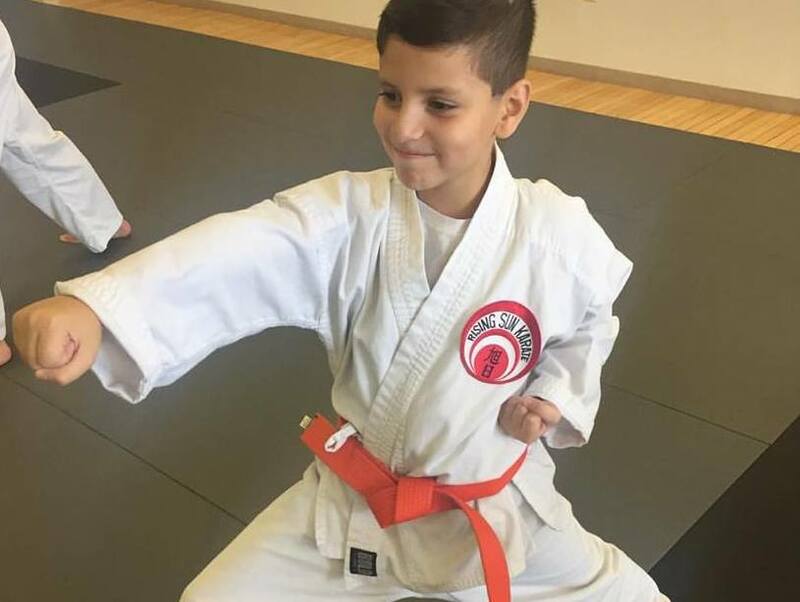 We offer exciting Karate, Judo and Cardio Kickboxing classes, mixed with self-defense and a variety of martial arts techniques, that will help you or your child to unleash the giant within you so that you can shine in ALL parts of your life! GET STARTED TODAY and check out how exciting our martial arts training can be!